Hurricane Irma pummeled Florida in early September, with high winds and lashing rain taking out power lines and flooding streets. The Tampa area was particularly hard hit by the storm, with thousands of people displaced and widespread power outages. To provide immediate relief to the community, the Foundation provided a $100,000 cash donation to the Central Florida Red Cross for Tampa. 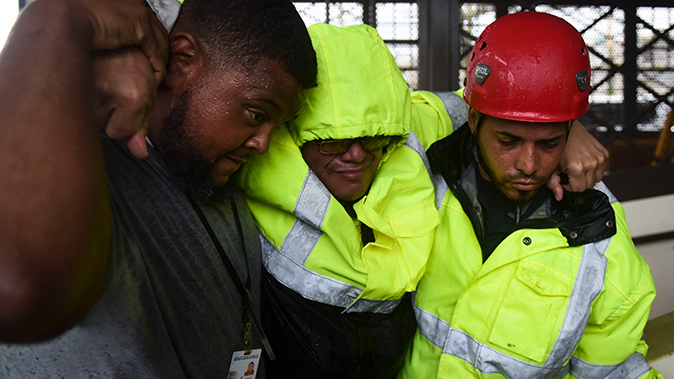 Following quickly behind Irma, Hurricane Maria, a category 4 storm, barreled across the Caribbean, landing a direct hit on Puerto Rico. With a complete loss of power and cell phone coverage, officials are still determining the extent of the devastation. Relief partners are springing into action and the foundation is donating $150,000 to the Puerto Rico Red Cross and $50,000 each to its medicine relief partners Americares and Direct Relief International. In conjunction with a volatile hurricane season and for the second time in two weeks, Mexico was rocked by a major earthquake, this one measured at 7.1 on the Richter scale. The full impact is not yet known, but the quake claimed hundreds of lives and destroyed homes and buildings. The foundation is donating $50,000 to the Mexican Red Cross for immediate needs. The Bristol-Myers Squibb company is also providing aid to the communities impacted by natural disasters with $414,000 worth of products donated to the Irma relief efforts, and $29,000 worth of requested medicine products to the Mexican Red Cross for the earthquake relief. The Foundation and its disaster relief partners will continue to diligently monitor the situations to provide support as needed.